In a press statement today Sedgemoor District Council has revealed the figure it received from the failed Tesco development on Bridgwater’s Northgate site was just over £5m whilst Somerset County Council received £3,5m, making a grand total of £8,886,700. 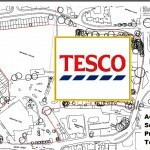 Sedgemoor District Council, Somerset County Council and Tesco Stores Ltd finalised a compensatory negotiation regarding the development of the Northgate site in Bridgwater on January 23rd. Within those negotiations, all parties signed a confidentiality clause. However, the councils have to balance the public interest in disclosure against the public interest in maintaining confidentiality. Since January 23rd, Sedgemoor District Council has received six Freedom on Information requests on various aspects of the negotiations, which have been answered today. 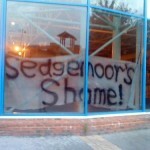 Sedgemoor went ahead with th Splash demolition despite local opposition. in November 2009 leaving Bridgwater without swimming provision for almost 4 years.statement. Somerset County Council – £3,562,420 with SCC retaining ownership of their land. Sedgemoor District Council – £5,324,280 with SDC retaining ownership of their land. In 2009, Sedgemoor District Council agreed to ring fence capital receipts from the Northgate site towards funding the new pool at Chilton until the capital cost of delivering on this key priority was funded. Therefore, Sedgemoor’s share of the settlement figure has been spent to pay off the cost of the new pool. 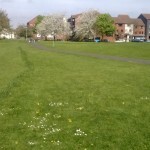 Next steps – Northgate is a hugely important site to Bridgwater and SCC and SDC has already started thinking about next steps. Both authorities are committed to an outcome that is best for the site and the town, and which also fits with the financial and economic climate which is vastly different from that in 2008. Firstly, both councils need to re-affirm with their members that they wish to dispose of their respective portions of the site. Further consultation will be had with the public and key stakeholders, taking account of the need to deliver any new project at no cost, apart from feasibility funds, to Sedgemoor District Council and with no ongoing cost implications. The timescale for delivering a positive outcome for the Northgate site will be submitted to both Councils for approval. Fuller consultation will take place subsequently. Tesco Boss say’s “No more new Big Stores”- So does Sedgemoor have a Plan B?